SMU Neighborhood East runs from Airline to Central Expressway and Binkley to Lovers Lane. 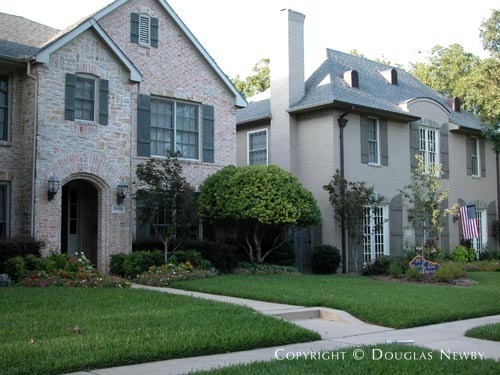 This SMU Neighborhood was originally built with predominantly one-story cottages and modest two-story homes close to SMU. Since 1990, new 4,500 square foot homes have been rapidly replacing the older housing stock. Central Expressway was depressed with a wall lined with small linear parks, changing the atmosphere of this area's modest neighborhood to one associated with successful families. Thank you so much for making our long house-buying adventure a wonderful experience…. SMU Neighborhoods East inside University Park. Click on the map and discover each home as you explore this neighborhood.